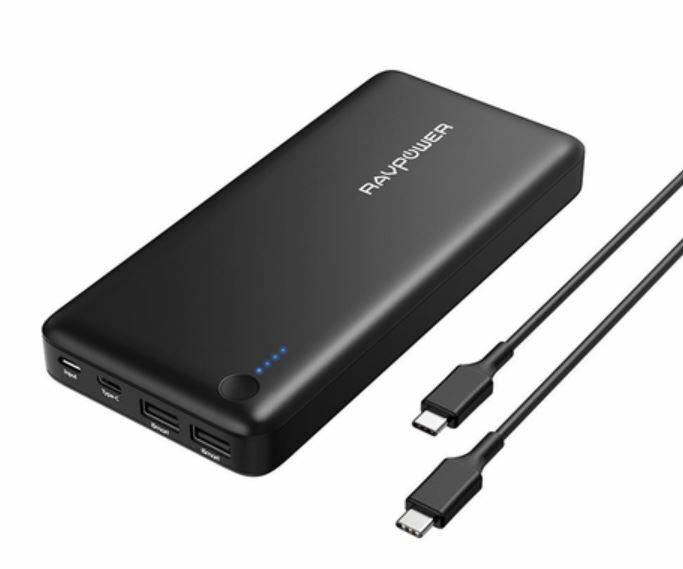 With smartphones now having 4,000mAh batteries and tablets/laptops up to twice that the need for a big USB-C power bank supporting USB-C power delivery has become mandatory for the road warrior. GadgetGuy found a few USB-C power banks that meet those needs. We were not able to test power bank capacity, but these days truth in advertising makes it hard to overstate, so we took that at face value. We used a Nokia 7.1 (GadgetGuy review here – great $499 phone too) with a 3060mAh battery that using the GeekBench 100% load battery killer test lasts about 7 hours. That means it draws about 437mA at 100% load. In real use phones never draw 100% all the time and most draw 100mAh when idle. We charged all using a Belkin 45W USB wall charger at $79.95 that delivers USB-C 5/9/12/15/20V at up to 3A. 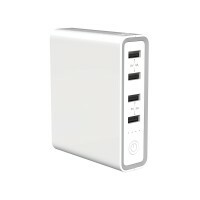 A 45W charger makes a huge difference over a 5V/2A USB charger – we assume it is 4.5 times faster. Electricity behaves predictably – volts x amps = watts. One amp = 1000mA. And mAh is milliamp per hour. So, a 5V battery capacity of 10,000mAh can provide 10A (50W) of power for one hour, 5A (25W) for two hours, 2.5A (12.5W) for three hours etc. The smart device it powers will have a battery, usually measured in mAh but what that means is if you know the power it draws you can calculate the time it should last. So, if you have a 4,000mAh battery and it lasts say 10 hours under 100% load the maximum draw is 400mAh. In this test we don’t care about what the device draws so much – we care if the battery can charge the device how fast and how many times. And finally the fiddle factor – charging is not 100% efficient and energy is lost via heat. Even though a USB-C power bank is advertised as so many mAh it can only ever achieve about 70-80% of that. Confused – well yes, it is rocket science. Recharging times using a USB-C power delivery 45W charger opens an even a larger can of worms. USB-C power delivery (we will call this Quick charge 3.0 technology) adds more complexity. 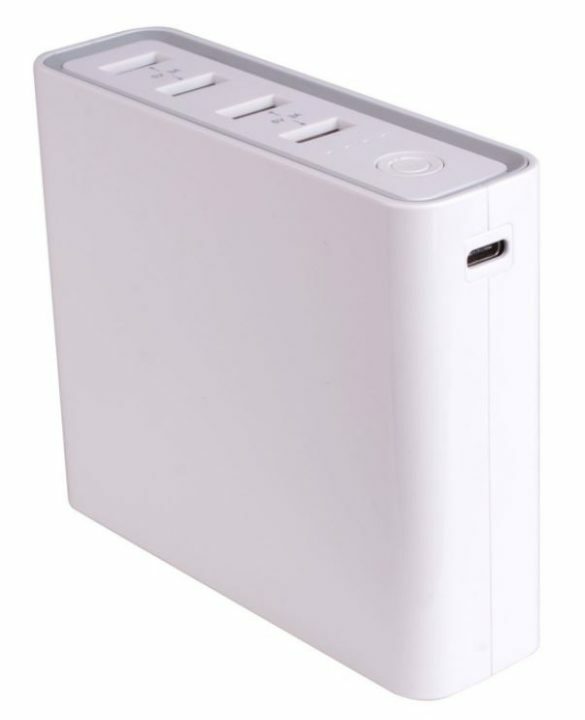 When charging a battery (either the power bank or the smart device), the device communicates with the charger and negotiates a downstream flow of voltage/amperage between a low of 3.2V and 20V in 200mV increments. What usually happens is that it starts high (say 20V/.9A, 18W) until it fills to say 50% (that is why most fast chargers quote 50% in 30 minutes) then it has to drop to 9V/1.5A (13.5W) from 50-80% and then tops up at 5V/2A (10W) for the rest. Even a quick charge battery can take a couple of hours, but it’s a hell of a lot faster than USB-A 5V/2A charging. It achieves the light weight though different battery technology and only outputs a maximum of 47A. 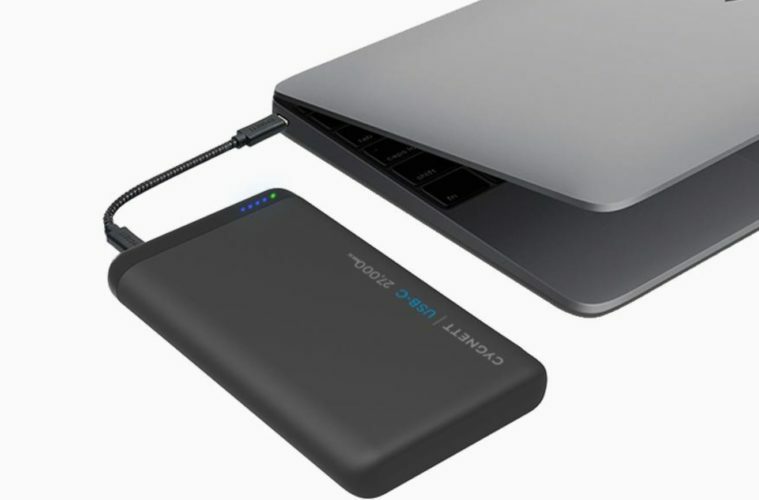 GadgetGuy’s take – and the winner of the USB-C power bank is? They are all fit for purpose. If you want massive capacity, it is hard to ignore the Cygnett 27000 but the RAVpower 26800 at $99.95 on special is the winner. In real-world tests, both took over 5 hours to full charge. 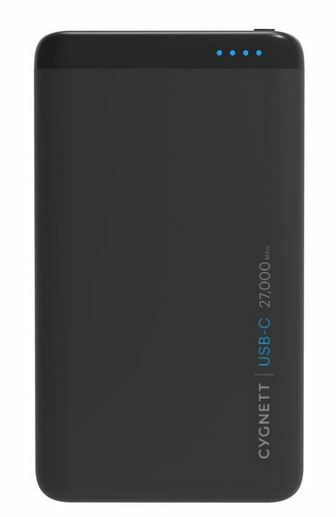 Cygnett’s 20000 is more pocketable, but in tests, it took nearly as long to charge as its 27000mAh big brother. The winner is Laser’s 20,000 mAh that offers four USB-A ports as well as USB-C power delivery in the lightest package. It also charged significantly faster at 3.25 hours than the others making me feel it has implemented QuickCharge 3.0 the best. You will be happy with any of them.